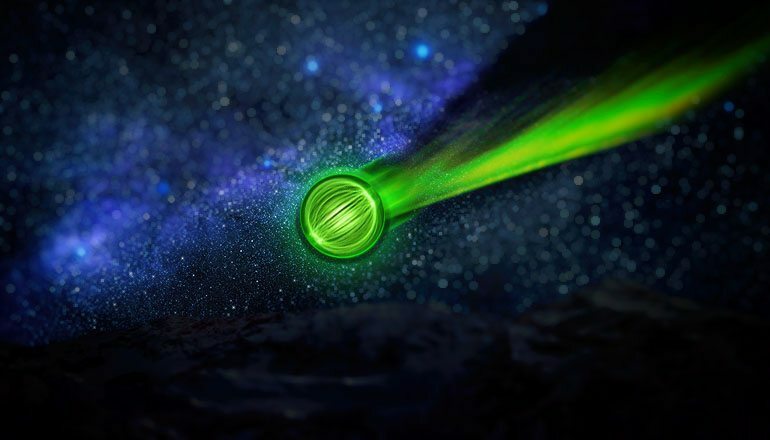 South African officials have been put on high alert after dozens witnessed a mysterious green object light up the night sky. The green UFO made a startling appearance this Monday and was seen by multiple witnesses ranging from civilians to commercial and military pilots. Alarmed by the large number of reports coming in, rescue officials were put on alert. According to official statements, the incident occurred at around 9:30 P.M. in Jeffreys Bay, a town located in South Africa’s Eastern Cape province. The Traffic Control in nearby Port Elizabeth was immediately notified. In turn, they delegated the National Sea Rescue Institute to monitor the situation and assess the damages, if any. “A Boeing 737 cargo aircraft Captain and Co-Pilot, flying from Cape Town International Airport to Port Elizabeth International Airport, reported seeing what appeared to be a green object increasing in altitude past the cockpit of their airplane reaching to about a thousand feet into clouds above them and then returning towards earth at high speed past the cockpit of the airplane,” one NSRI official told local media. Fortunately, there were no reports of missing craft or people. The most comprehensive description of the event came from the pilot of a commercial airliner who spotted the UFO less than 1,000 feet (300 meters) from his plane. He was able to maintain visual contact for a few seconds before the object completely disappeared. What intrigues us is the pilot’s statement, which would seem to contradict the meteor hypothesis. They say the object was gaining altitude as it passed them. The object later crashed into the sea. Could this be an indicator that the green fireball was actually a piloted UFO with amphibious capabilities, an unidentified submerged object (USO)? The green UFO/USO made a single appearance in Jeffreys Bay but it is by far the only time it was seen in the past month. Just the day before the South African incident, a similar, if not the same object was reported flying over multiple cities in Spain. Witnesses from La Hita, Sevilla, Calar Alto, Sierra Nevada and La Sagra saw a green fiery object traveling at great speed through the night sky. While there are no pictures showing the green UFO from South Africa, quite a number showing the Spanish fireball were posted on social media. Could there be a connection between the two incidents? The distance of 5,000 miles that separates Spain from South Africa could be made by a plane in several hours, let alone a possible UFO capable of interstellar travel. 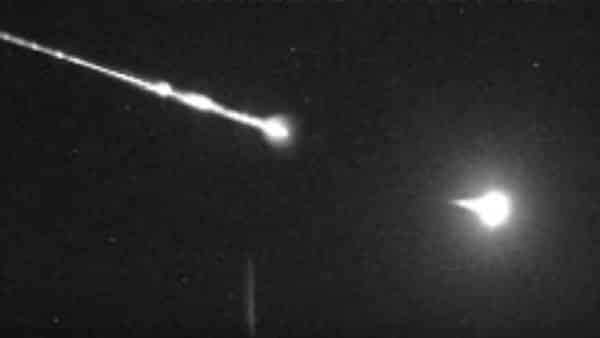 Taking into account last month’s sightings of similar green fireballs over Japan, Siberia and also other places, is it possible that this increase in unexplained activity in our sky is the work of aliens? Various UFO enthusiasts seem to think this is the case and they believe the sudden increase in green objects in Earth’s atmosphere could signal the coming of something big. Authorities cite natural or artificial explanations for these incidents: meteors or space junk burning up in the atmosphere. But sometimes these explanations are not enough to quell public unrest and the attention is once again drawn to aliens and UFOs. Previous ArticleDid Nostradamus Predict Aliens Will Invade Earth in 2017?